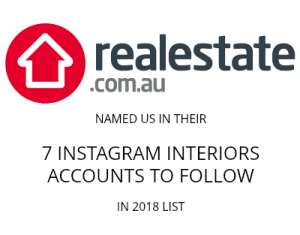 We love discovering other bloggers out there and seeing the creative ideas they come up with to create stylish interiors. At the moment we can’t get enough of indoor plants — hanging, in a pot plant stand, wall-mounted or just in a regular pot — and so today we have curated our top 9 ideas to display indoor plants from across the web. 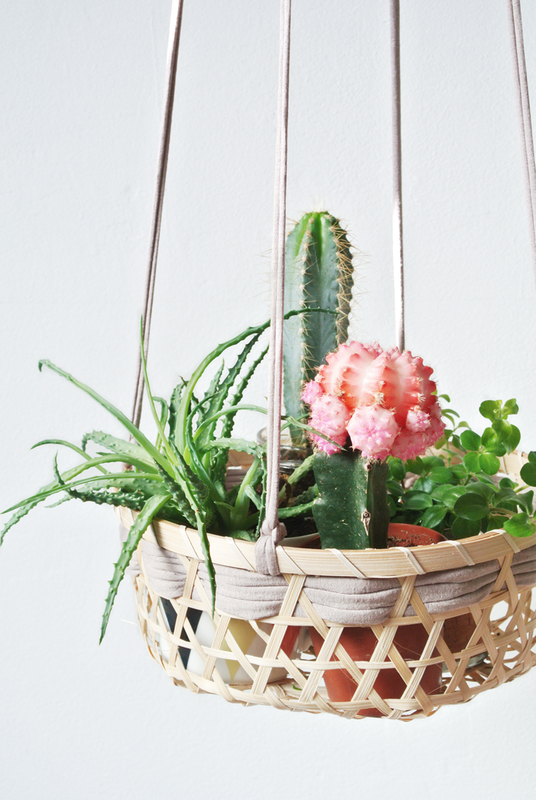 Using simple Zpagetti cord and two baskets, the talented Marij from My Attic has created these adorable hanging planters. 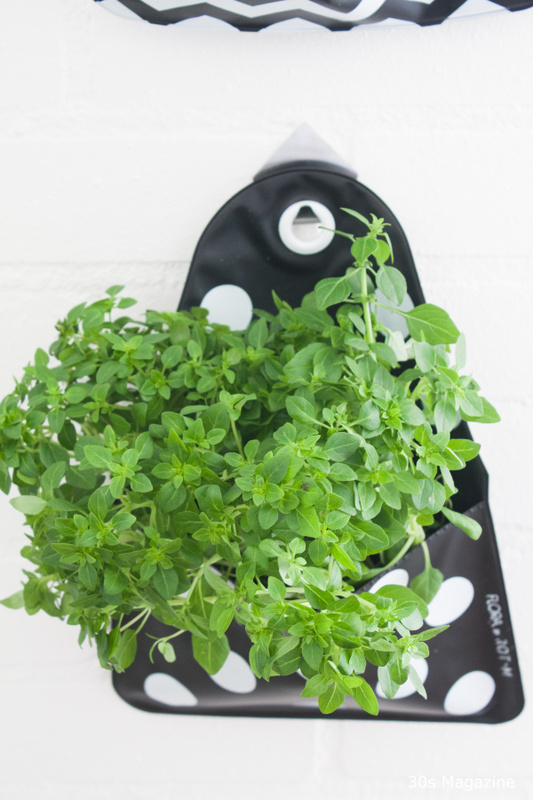 Louise of 30s Magazine uses Flora pockets (aka one of the best inventions of last year) to add greneery to her home. 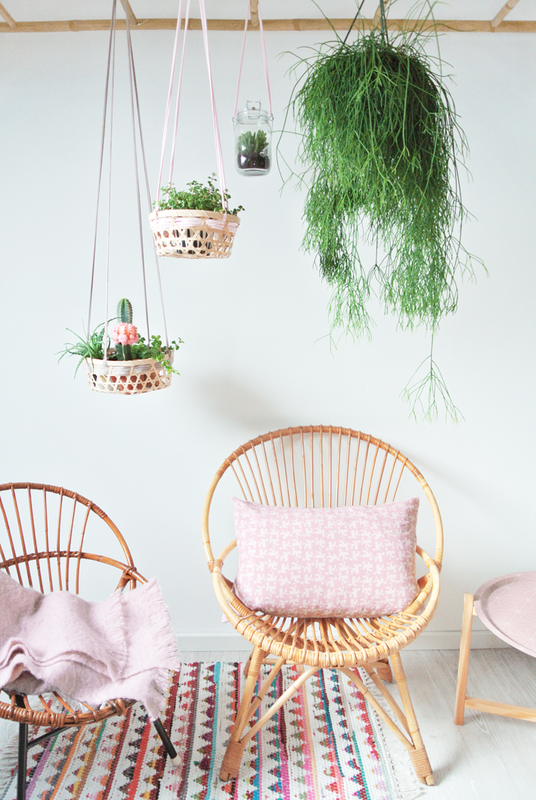 German blogger Katti of Birdylicious shows three indoor plant ideas in one here — macrame hanging pots on wall hooks, wall-mounted pots on a rail and hanging jars in a wall-mounted box. 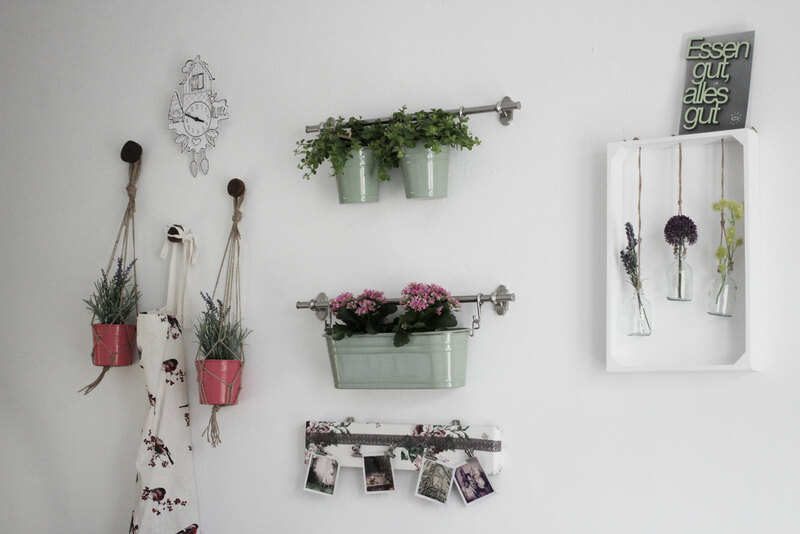 Another German Blogger, Julia of Junifaden, has created an incredibly clever and oh-so-stylish hanging planter DIY! This one is on the ‘to do’ list! This beautiful DIY which makes us think of necklaces for your walls and furniture, has been created by the Italian blogger behind Vivere A Piedi Nudi my handmade life, home, crafts and jewels. 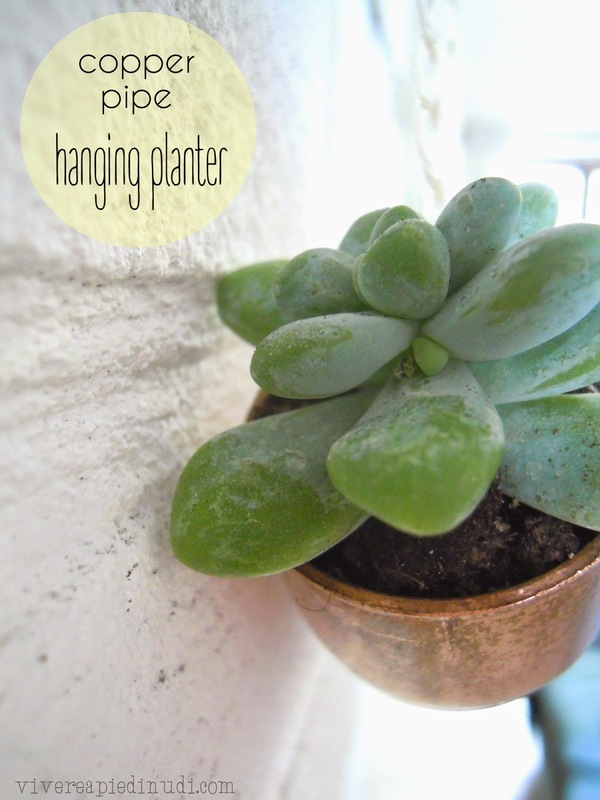 We love the simplicity and surprise of this miniature hanging planter idea. 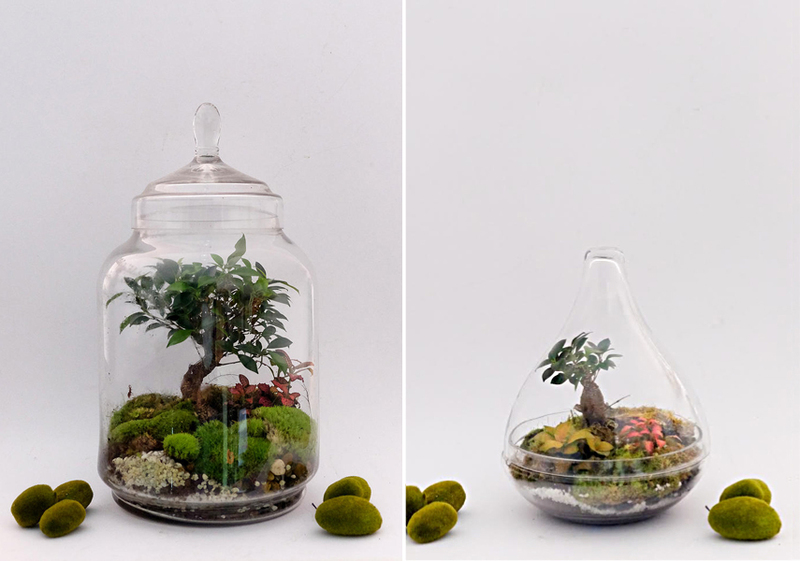 The plant lovers at Urban Jungle Bloggers recently featured these self-sufficient plant jars by the new Paris-based studio and online store ‘Green Factory’. Such a great concept and seriously want one! 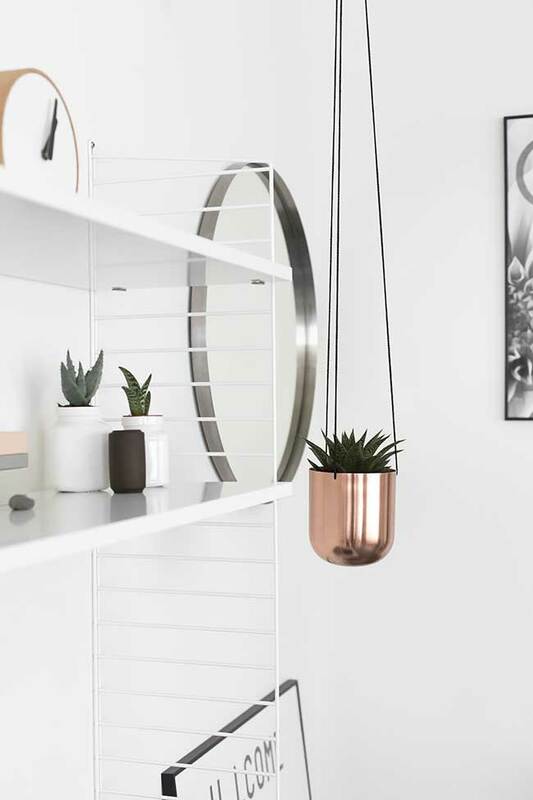 We can’t get enough of all things copper so couldn’t resist including this perfect hanging planter in our ‘Top 9 indoor plant ideas’. Wendy of Beeld and Steil bought this one from Bloomingville (it’s also available in brass). 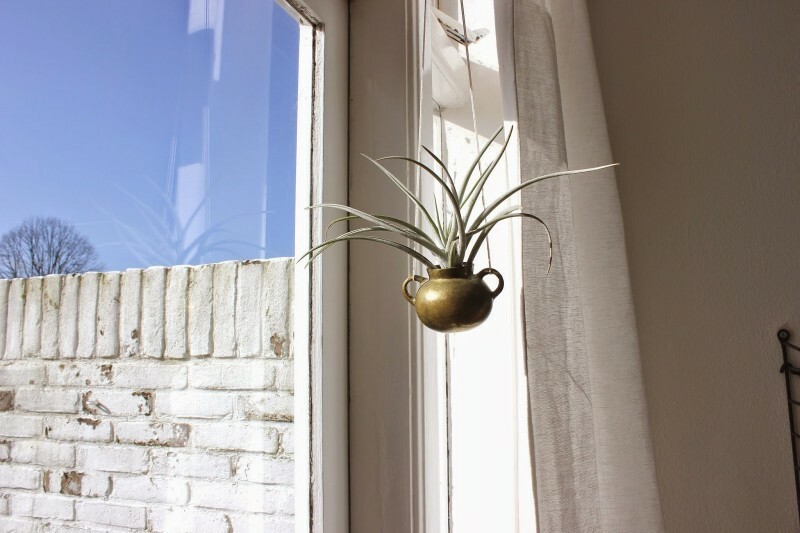 Dutch blogger Saskia of Confetti Option has created such a cute and unusual hanging planter — using a small metallic vessel. She says this plant has no fear of heights and can now stay out of the clutches of her cat, cute! 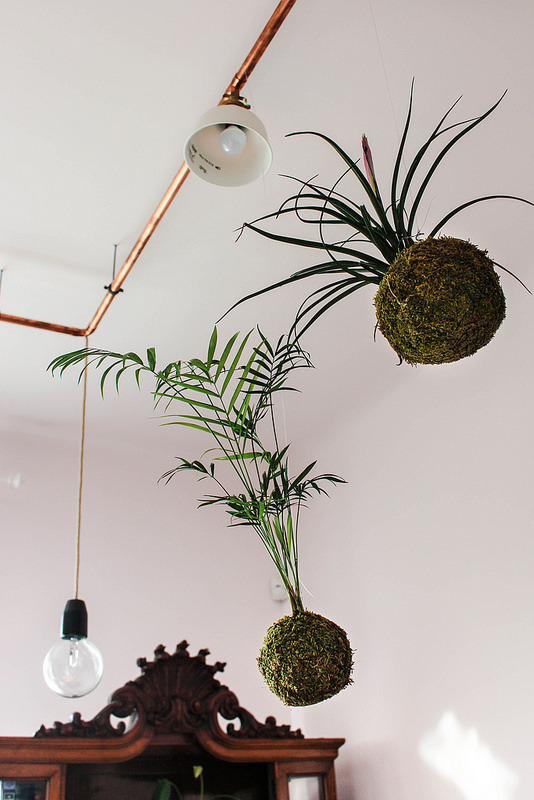 Zsuzsi and Reka, Hungarian bloggers behind Bold Color Glass, introduced us to these stunning hanging planter balls by Petite Planet. 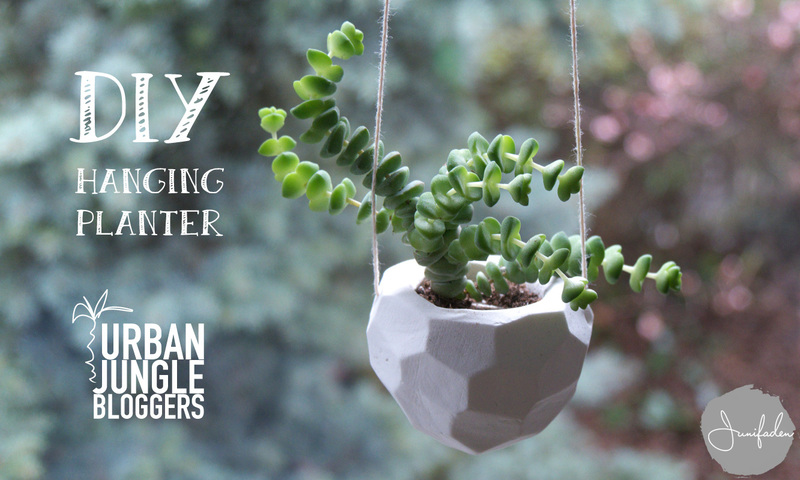 Hungary is a bit far to ship a hanging planter from so if you’re looking for a similar product in Australia you can make your own using our hanging moss ball tutorial. What do you think of these indoor plant ideas? Did you get some new inspiration? Don’t forget to also check out our ‘How to make your own terrarium‘ and ‘DIY concrete planter‘ tutorials for even more ways to bring greenery into your home! Thanks for adding our Petite Planet kokedama project to your list! My personal favorite here is that sleek copper piece from #7 :).